Predictions about the growth of the Internet of Things (IoT) continue to escalate. Smart consumer devices, such as home automation, refrigerators, and smart cars always seem to come in front-and-center as market examples. Smart cars alone are expected to generate gigabytes of data per hour when they add autonomous or new assisted driving capabilities. That’s a lot of new data to handle; yet the ramp-up on affordable autonomous cars—and even “aware” refrigerators—is likely to be a long and low volume market adoption in the foreseeable future. So what’s causing the real bump in all the analyst estimates of IoT growth? The answer is industrial applications, including manufacturing, logistics, energy, and even healthcare. This category is known as the “Industrial Internet of Things” (IIoT). Tech companies that really have their eyes on the IoT market know the onslaught of data won’t come from large quantities of data generated from smart coffee makers , but will come from small bits of data generated from swarms of industrial IoT devices. Machine-to-machine (M2M) IoT involves intelligent communication between industrial controllers, as well as data capture for big data analysis. This will create the need for ever-greater integration between wireless, mobile, cloud-based networks, processing, and storage. The real challenge for IIoT and network management and capacity is that it intersects at the edge of two different technologies, with two distinctly evolved skillsets—industrial automation and network IT. The opportunity and challenges for IoT are at these crossroads. How well these two disciplines (industrial automation and network IT) work together, with different skills and market mindsets, will determine the winners and losers in this multi-billion-dollar or perhaps multi-trillion-dollar market. If the concept of 20+ billion new IoT devices is too mind-boggling, how about the concept of “Smart Dust?” Pioneered by DARPA in the 1990s, this technology involves tiny sensors in the air, everywhere, made of microelectromechanical systems (MEMS) that monitor chemical signatures, brainwaves, movement, temperature, and more. Will this lead to an Internet of Dust (IoD)? Will industries take the lead in leveraging this technology to form an Industrial IoD? Instead of big data, will this lead to “Gargantuan Data” challenges? How will network IT handle this? We welcome your feedback. Steve Bosak is a senior writer for Hoffman Marketing Communications, Inc. In his eight years at Hoffman, Bosak has specialized in providing B2B marketing and technical writing services to leading enterprises. A 25-year veteran in the industry, Bosak has provided white papers and other product launch and sales enablement materials on many topics ranging from network IT to cloud computing, cyber security, and more. 26 billion devices by 2020 (according to Gartner, Inc.); Cisco estimates these devices to reach $19 trillion in revenue opportunities. 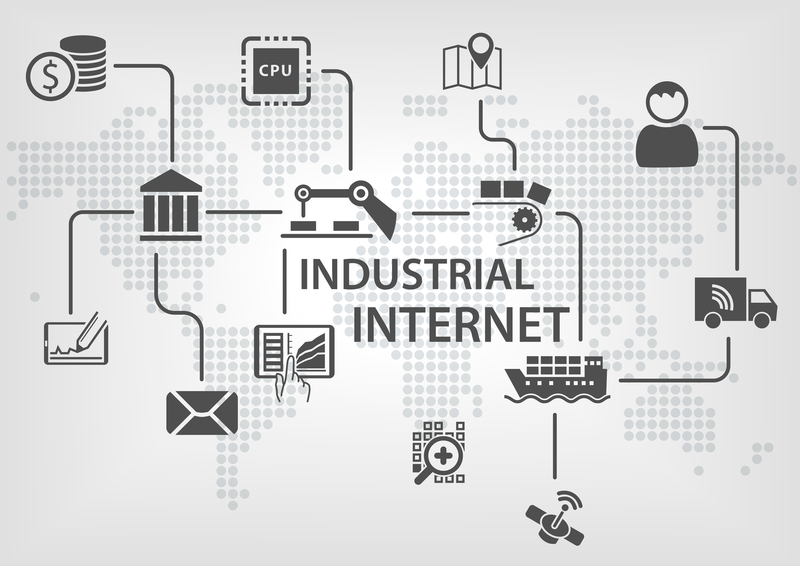 To learn more, visit the Industrial Internet Consortium, which now boasts over 200 members.